The original Fantasy is her best imo and my fave. Its kinda weird how she made tons of perfumes based off of it, she REALLY milked it! However I also do like Curious and Private Show. If the total gross of her her perfumes was 1.5 billion in 2012 I wonder what it is now. Must be over 2 billion at least. did yall know that a bottle of a Britney Spears fragrance was sold every 15 seconds worldwide? most of her fragrances smell really good so no wonder she keeps making em. How come I can't find Rainbow Fantasy anywhere? Scrapped? I wonder how much she is getting for the perfume. I think we can officially say Cappy works for Elizabeth Arden. Do you like Christina's? I bought one and totally regreted. I like the red one because it smells a bit like vanilla. The first one is ok too and so is by night. The others are just too heavy for me. I also bought all of them because of the bottle. Britneys for me are way too sweet but i kind of like midnight fantasy because it smells like blueberry a bit. I like these from Christina all the others are a no. 5 fragrances and the rest are some variation of one of those 5. Wow. Come thru queen with your billion dollar empire! I really like Hidden although i dont have one, but my favourite is Midnight. I love sweet scents so i love Curious and Fantasy as well. But thanks for the tips, ill try to see If i can find these u mentioned. Oh yeah Royal Desire and Unforgettable are downright gross.. The god one is pretty bad too. Like I wonder what she was thinking oking those. Its kind of funny because in Germany its opposite. 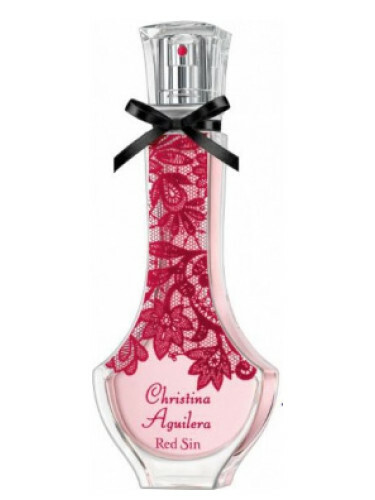 Its really easy to get Christinas perfumes but I actually ordered all of Brinteys on Amazon cause they were so hard to find. lol.